One all-too-common piece of "business advice" is to warn first-time entrepreneurs not to start a business with friends or family members. 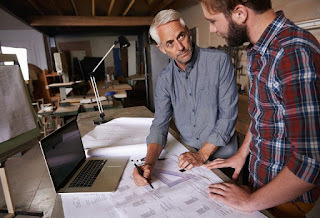 And indeed, if you have the opportunity to start a business with family members — or join an existing family-owned business — then you need to think long and hard about your decision. So let's say you're considering the idea of going into business with a spouse, sibling, parent or other relative. You may share a house, you might have regular meals together, and you probably spend a lot of memorable moments and family events together as a tight-knit group. You know what it takes to make each other smile and what triggers the other to freak out. Family makes up some of the people who matter most to you, and you’d bet your last penny they'll get your back in a bad situation no matter what. But is it smart to run a business with these people? Deciding whether or not it's smart to start a business with family members is not as crystal-clear as your affection for the people who make up your family. And as in many families, disagreements arise even among experts on whether it’s wise for family members to start and operate a business together. Two distinguished professors from equally prestigious universities maintain polar opposite positions on the topic of starting a business with family. Joachim Schwass, who serves as Director of the Global Family Business Center at Lausanne-based International Institute for Management Development (IMD), cited numerous studies that show family-controlled and quoted companies create more wealth and outperform public corporations on many metrics including total returns and cash flow. In addition to that, he concluded that family-owned businesses have a greater incentive when it comes to prudent management, given the common aspiration to pass on a healthy business to the next generation. In contrast, John Van Reenen, a unit director at the London School of Economics believes that family-controlled corporations seriously lack meritocracy in that the choice of chief executives and key leaders is usually limited to family members. Moreover, this arrangement lowers the drive of next-generation leaders to excel, tending instead to slacken off given the certainty of gaining a profitable position within the company. As a result, many family-controlled companies trend downward over time in terms of growth and innovation. And both experts have a point. On the one hand, the list of successful family-owned and controlled companies is impressive. With names like Foxconn, Nike, Volkswagen, Samsung Electronics and Wal-Mart gracing the top spots on the list of family-owned businesses, a powerful case could certainly be made for the viability of starting a business with family. But the downside is equally convincing. Think of all the high-profile failures, violent acquisitions, bitter feuds, and broken relationships arising from conflicting interests in family-owned businesses. As reported in the Harvard Business Review, 70% of family-owned businesses failor get acquired before the second generation takes the helm. Gucci, the luxury clothing and apparel company was founded in the 15th century and remains one of the world's most well-known brands in high-end leather goods industry. The company fared well for centuries but bitter infighting among the Gucci clan led to the company’s lagging performance and eventual acquisition in 1999 by the French multinational conglomerate Kering. Top chef Gordon Ramsay and his father-in-law Chris Hutcheson were business partners. But Ramsay fired Hutcheson over an alleged money theft and in retaliation, Hutcheson sued his son-in-law for unpaid salaries and unfair dismissal. Their bitter disagreement led to an out-of-court settlement and what's undoubtedly a permanently scarred relationship. As the second largest privately owned company in America employing more than 100,000 personnel, Koch Industries operates as a privately-held energy conglomerate in the U.S. A bitter struggle over money between the Koch brothers and cousins led to lawsuits and a cash-out of $1.1 billion in the 1990's. Now that we've covered some examples of what can happen when you start a business with family from both perspectives, let's examine some of the pros and cons so that you can make the decision for yourself. Drawing on personal experience, the experiences of entrepreneurs I know, and from the advice of the world's top business leaders, here are 7 pros and 7 cons to starting a business with family members. You’re in the zone when it comes to internal relationships and collaboration. You've spent plenty of time with your family, you know and understand their interaction style and you're less likely to be caught off-guard by unforeseen character flaws that could spell disaster for a company. Your co-workers are more than just peers or business partners. They’re friends you count on and family members who genuinely care for you, so business relationships with family members are likely to be much more empathetic. Key people are also stakeholders in more than just the success of the business. They're united by a common goal and likely willing to make great sacrifices for the success of the company. The mood in the workplace is more relaxing because you’re comfortable with people around you and there's no need for small talk. Because all of the family members know each other well, there is typically less pressure when it comes to financial performance and more flexibility on the period within which to realize returns on your investment. Family-owned businesses often deploy brands that have a stronger market appeal because they convey tradition, hard work, and craftsmanship. Think Levi’s, Gucci, Beretta, Ford, Nike, Hasbro, and Mars. Part of the success of these companies can be tied back to their family appeal. It’s easier to get the ball rolling if you’re launching a company fast because you won't have to bother with interviewing potential partners, checking backgrounds or following up on the certifications and qualifications you've been told. Things can become too comfortable, which tends to slow down the growth of the business in the long run, reduce the drive for excellence, and undermine professionalism in the workplace. Conflicts in the workplace may carry over to your personal life, creating serious rifts between family members if the disagreements are momentous enough. Some conflicts persist and sometimes extend to court litigation, permanently damaging relationships between siblings, parents, children, and relatives. Fresh ideas may be harder to come by, as outsiders and non-family members within the business may find it more difficult to join the closed loop of family decision makers. Unfair business practices, such as having little-to-no system of meritocracy in place, tends to emerge in family-owned businesses where the succession of the company is all but guaranteed to the next family member in line. This can seriously turn off highly talented candidates and employees that would otherwise be motivated to excel and move up within the organization. Moreover, unqualified or ill-equipped family members can still become leaders, which results in mediocre business performance. Leadership succession may become a source of serious conflict if clear guidelines have not been established well in advance. Squabbles between siblings and other key members in the company can create permanent rifts in family relationships. Too much family tradition and common upbringing may promote closed-mindedness, intensify the resistance to change, and impede both creativity and outside-the-box thinking. Family-owned businesses are less likely to innovate unless they bring in outside help to stir up the environment. Leaders may encounter a reluctance in making important decisions that negatively impact a family member. If a family member who's an employee or partner isn't pulling their weight, isn't delivering on the promises they've made for the company or otherwise, it'll be a tough conversation when it comes down to addressing a potential change in position for that person. Clearly, family-owned and managed businesses have significant risks as well as benefits. If you’re planning to start a business with family, whether it be with your parents, siblings, or other relatives, think it through very carefully. Don’t consider a family-owned enterprise as an automatic win-win situation for everyone — but neither should you dismiss the advantages of a family business out-of-hand. To be safe, scout the terrain, know what to expect, and be prepared for surprises.